Hybrid Vehicle is a vehicle that utilizes more than one fuel sources or two or more different fuel sources to operate and to move the vehicle or a hybrid vehicle is a vehicle wherein the means of propulsion is by engine which is a combination of IC( internal combustion engine petrol/diesel) engine and an electric motor.The term hybrid vehicle is often referred to the electric hybrid vehicles, which merge one or more electric motors to an internal combustion engine. Hybrid vehicles are often powered by a number of sources such as solid combustibles, human powered, CNG, LNG, hydrogen, electricity, electromagnetic fields, petrol, diesel wind and solar power. These vehicles are designed according to the power source and its availability. Light duty vehicles are mainly used for city transport or as a personal vehicle. IC engine : The hybrid car has a IC engine much like the one you will find on most cars. However, the engine on a hybrid is smaller and uses advanced technologies to reduce emissions and increase efficiency. Fuel tank : The fuel tank in a hybrid is the energy storage device for the gasoline engine. 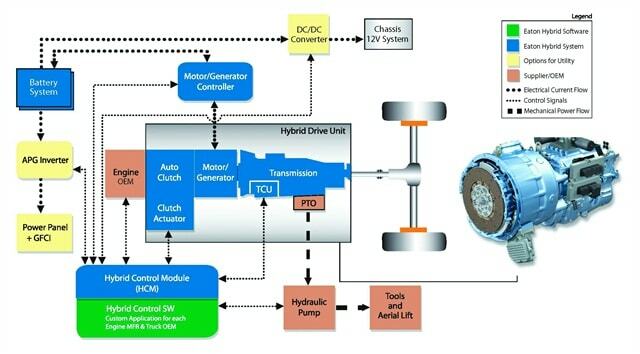 Electric motor : The electric motor on a hybrid car is very complicated. Advanced electronics allow it to act as a motor and also like a generator. For example, when it needs to, it can draw energy from the batteries to accelerate the car. But acting as a generator, it can slow the car down and return energy to the batteries thus saving energy. Generator : The generator is similar to an electric motor, but it acts only to produce electrical power. It is used mostly on series hybrids. Batteries : The batteries in a hybrid car acts as an energy storage device for the electric motor. Unlike the gasoline in the fuel tank, which can only power the gasoline engine, the electric motor on a hybrid car can put energy into the batteries as well as draw energy from them vice versa. Transmission : The transmission on a hybrid car performs the same basic function as the transmission on a normal car. It is the lowest level of vehicle hybridization, in other words it is the entry level type of hybrid. It contains mainly start stop technology. Here, energy is stored in an auxiliary battery and then it is used to quickly start a vehicle at the traffic signal after the engine is stopped. This system also has the lowest size of the battery than the other level of hybrids. It is next level of hybridization after micro hybrid. This type of hybrid only supports assist mode or torque assist mode to help deliver torque at rpm, and regenerative braking mode. It is able to help Internal Combustion engine with electric torque (especially from standstill to walking speed, where combustion engines are very uneconomical) in addition to micro hybrid system. Here the energy is stored to the battery while acceleration and deacceleration which is then used to quick start the engine after the engine has been stopped. Here the battery size is bigger than the battery used in mild hybrid system but lower than the battery used in full hybrid. This system is superior than micro hybrid and is also has lower cost than full hybrid. The main and basic difference from other hybrid is its pure EV mode. This type of hybrid vehicle has larger battery than the micro and mild hybrid systems and also has a motor to drive the vehicle in pure EV mode for some time. A full hybrid vehicle uses both electric motor and IC engine and it can any of these two. Full hybrid is able to drive using electric propulsion without engine running but can not be recharged by plugging in.This also increases the overall fuel efficiency of the vehicle. That’s why this full hybrid system provides highest efficiency among all hybrids. Other modes contains in the system like assist mode which is assists the vehicle at high power demand time and assisting at the event of braking via regenerative braking are also available. Firstly, battery is operated in charge depleting zone and when the battery gets discharged enough, it starts to operate on charge sustaining mode. It helps in increasing the fuel economy of the vehicle. The FE of the hybrid car will be greater than its non hybrid counterpart. A true hybrid car (like full hybrid) will operate more quietly at lower speeds. Regenerative braking system. Each time the driver applies brakes it helps to recharge the battery a little faster. It is a kind of energy saving. A full hybrid car may not be a powerful one. The primary reasons hybrids are there is more Fuel economy and range. If you wanna become a car owner, you gotta be really attentive, because the car dealers only gonna tell all the nice things about vehicles they’re trying to sell, but you need to know the truth and the real conditions of the car. In order to do that you might need to use https://www.faxvin.com/vin-check/owner, entering the VIN number in a matter of minutes you’re gonna find out about the mileage, accidents history etc. Thanks for commenting. Do subscribe and follow us on Facebook, Twitter to receiving latest updates and information.